Usually it’s the press, shareholders or Cast Members who get first-look at the latest new events and attractions at Disneyland Resort Paris. Earlier tonight, just as daylight was fading over Marne-la-Vallée, that tradition was delightfully broken and normal, regular guests were the first to see a complete presentation of Disney’s Stars ‘n’ Cars. As reported several times previously, you might recognise most of the vehicles — but this certainly isn’t the linear parade you’ll remember from Disney-MGM Studios in Florida. The event now combines a cavalcade, a surprisingly lengthy dance medley on Place des Stars Stage and a meet ‘n’ greet with guests all in one. Different also is the showtime of this new event — not 1pm as with the old Disney Cinema Parade, nor earlier in the day like Good Morning Walt Disney Studios. 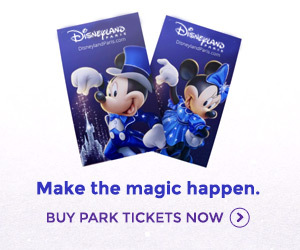 Instead, it’ll be happening half an hour before park closing each day, as a grand finale of the stars arriving for their “premiere” after “wrapping production” on the film shoots of the day. And now, the very first video clip! Tonight, 10th March 2009, at 6.30pm, the Stars ‘n’ Cars will do it all over again in a second and final preview performance, so check back soon for even more photos and videos! These two avant-premieres are designed to test both audience reaction and the handing of the event by park operations, to tweak or improve the performance if necessary before its actual premiere on 4th April 2009. Photos: 1, 7, 8, 10, 11, 12, 13, 15, 16, 17, 18, 19, 20, 21, 22, 23, 25, 26, 27 by Grégory Grienche (more 1 | more 2); 2, 3, 4, 14 by CharactersPhotos Blog (more); 5, 6, 9, 24, 28, 29, 30, 31, 32, 33, 34, 35, 36 by Aléxandre Rosa (more); Video: pitiguigui, YouTube. Thanks for the pictures and videos, im not able to go this year and so much has been added since I last went, its nice to actually be able to watch the parade not just hear about it. It looks fabulous thanks for the photos too cant wait till August to see it for myself!! WOW ! This is an amazing parade event which can easily run for several years now. It really fits to the Studios and I love it. Hope that I will be able to see it with my own eyes. And I love Ariel’s car. Very nice…seen the one in the USA, this one looks nice too! Good for the Studios! I was there, from 8th to 14th March, and it was fantastic. You have to be there to see and feel all the magic. i am counting the day for the next visit and can’t wait to see all of the new attraction. 6 weeks and i will be there visiting again as jan was so so cold need some sun instead of snow this time mr weather man! !